Access All Areas members have a lovely collection of seamless patterns to download this week, courtesy of Irene Demetri from Youandigraphics. These beautiful heart patterns make ideal backgrounds for Valentine’s Day projects, wedding invitations, greeting cards, Christmas cards, fashion projects, websites and so much more! 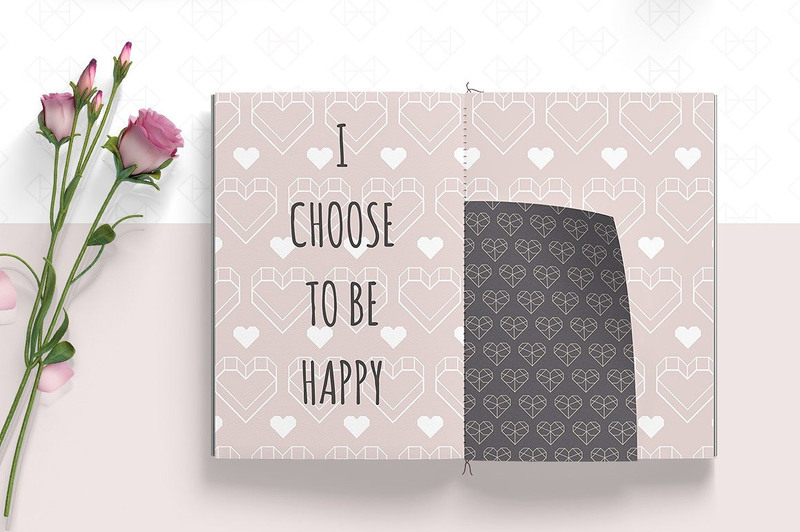 Each one is a group of abstract geometric graphics that resemble heart shapes, available in vector format that allows the colour and size of the patterns to be edited. Irene Demetri is a Graphic and Digital Designer. She loves creating a range useful resources for other designers in her Creative Market store specializing is seamless vector patterns. You can find many selections of patterns that have multiple applications and are easy to use for your projects. Marble patterns, a large selection of Geometric Patterns, Floral Patterns, Feminine Patterns and so much more. You can follow her on Instagram for all the latest product updates and on Pinterest for some great inspiration resources. This pack of vector patterns contains 6 seamless layouts made of geometric heart graphics, each one comes in AI, EPS and ready-made JPEG and PNG versions. The vector versions of each patterns are fully scalable and editable, allowing you to change the colours and resize the graphics to suit any design application. Cool! Geometric hearts! They really are pretty! Thank you, Chris, and Irene! Glad you like these as much as me!